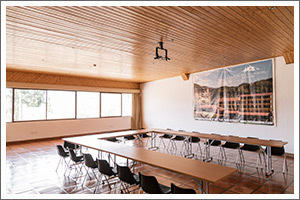 For those meeting planners that are looking for a beautiful setting away from the hustle and bustle of the "city" ...come on out to Huaraz to the Andino Club Hotel, surrounding of the Cordillera Blanca. A warm and laid back atmosphere invites you to work by day and relax in the evening. Our fine dining gives the "meeting goers" a chance to work and network in a casual carefree setting. 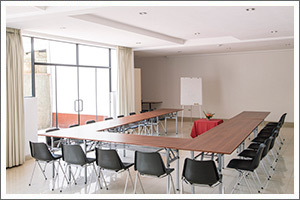 There are 2 conference meeting rooms at your disposal to organize conferences, seminars and banquets etc. A charmy garden is available for breaks etc. Amplification system with wireless microphone. Computer with Laser Printer etc. Our staff ist attentive to your very need. Whether your meeting is for a day or longer, we will be there to help at every step of the process. We offer breaks, business lunches and dinners. What's more, in order to satisfy you we are open to any proposals you may have. Our goal is to exceed your expectations in quality and service and provide all the services and amenities to guarantee a successful meeting for you and your attendees.